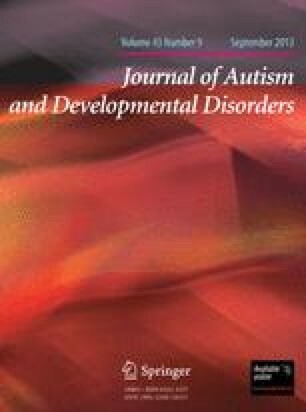 Interdisciplinary research suggests that autistic children's limitations in responding to environmental stimuli may be directly related to the number of components contained in the stimuli; as the number of components increases, such children hypothetically would exhibit greater difficulties in responding. The central purpose of this experiment was to assess whether such children indeed exhibit greater difficulties in responding as the number of components contained in an environmental stimulus was increased from one to four. If the children's responsivity was a function of stimulus complexity, a second focus of this experiment was to assess the feasibility of teaching them to respond to a complex environmental stimulus containing up to four components and to determine whether the effects of the intervention would generalize to other situations involving complex structured and social stimuli. Data gathered using a multiple baseline design across behaviors and children indicate that all of the children exhibited fewer correct responses to a stimulus as the number of stimulus components was increased from one to four. The results further showed that the training program used in this investigation was effective in producing some generalized increases in the children's responses to complex structured and social stimuli. Conceptualizing autistic children's responses to complex multicomponent stimuli as a pivotal target behavior that can be operationally defined may have important implications for understanding and altering the children's responsivity and development. This investigation was supported in part by U.S. Department of Education, Special Education Program Research Contract No. RFP82-021 and U.S. Public Health Service Research Grants MH28210 from the National Institute of Mental Health. The investigation was conducted as the first author's dissertation while in the joint doctoral program at the University of California, Sant Barbara, and the University of California, San Francisco Medical School. The authors are grateful to Robert L. Koegel, Sanford E. Gerber, Thomas G. Haring, Michael M. Merzenich, and Roberta Babbitt for their valuable comments and to Terry Antonious, Shannon Bliss, Tricia Krakauer, Sarah Mitnick, Clodagh Murphy, and Erica Styles who provided assistance during the investigation.